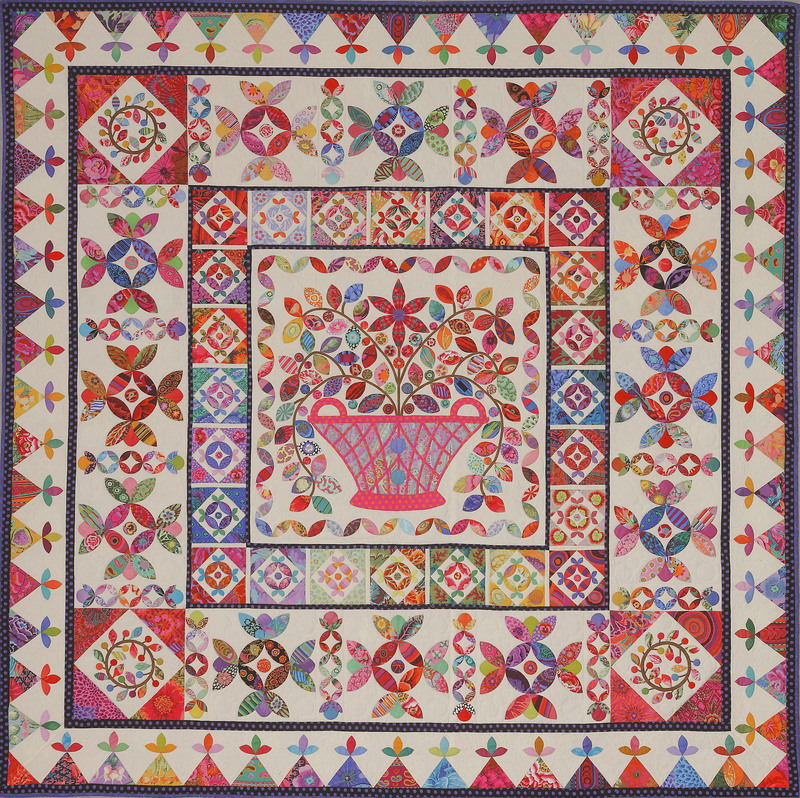 Click HERE to open a new Window with an enlargement of Kim's original quilt. Then click on the enlargement to magnify it to full size. The Starter Fabric Pack: A few of the fabrics in the original quilt have been discontinued, so we included as many of the original fabrics as we could and, with Kim's guidance, augmented them with new Kaffe fabrics. 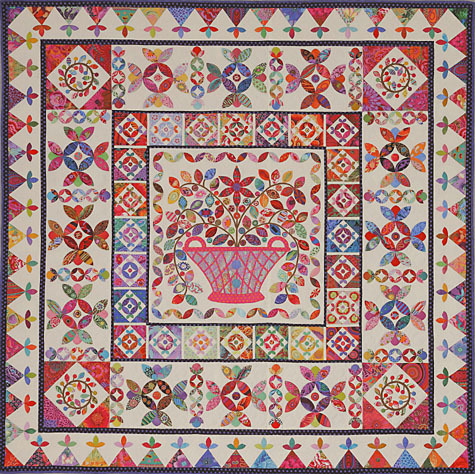 We have bundled Kaffe's fabric in enough variety to do most of the applique and narrow borders. We encourage you to add your scraps to our fabric pack to add to the variety. The fabric pack does not include the background fabrics or pattern. The Background: The original Flower Basket Medallions used a single background fabric. We suggest using one of Kaffe's Spots or Aboriginal Dots fabrics for the background. We recommend 7 1/2 yards of fabric for the complete background.